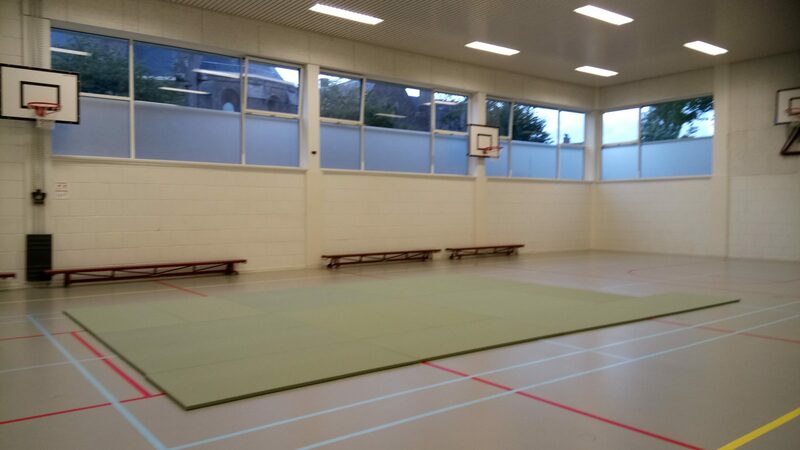 Our dojo is based in the sportscentre of the high school “Maerlant lyceum”. It is a comfortable and light space. 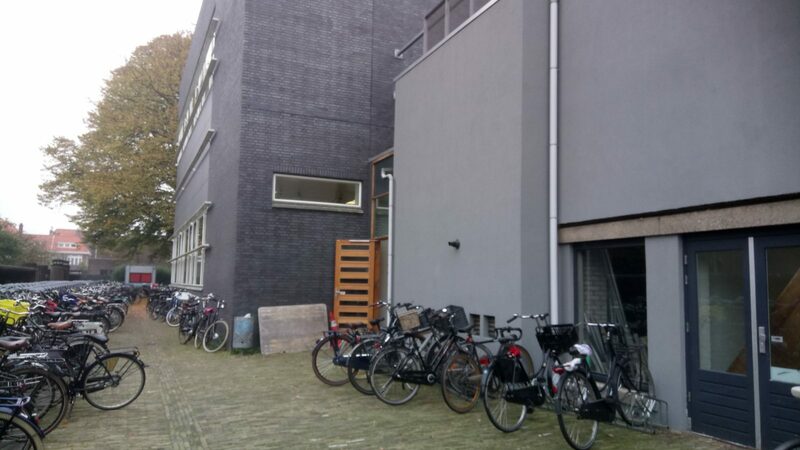 The style of the building is of the “Amsterdamse school” which dates back to the twenties of the last century. The school is over 100 years old, yet the interior is up to date after the renovation that took place in 2010. Big windows allow plenty of natural light in. 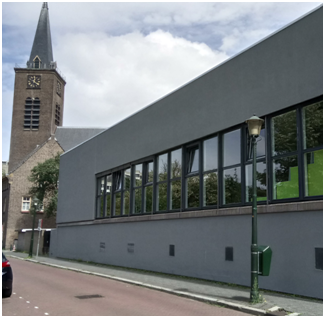 Kokoro is based in Benoordenhout, a quiet neighbourhood next to the centre of The Hague. If you come from the Central Station, bus 18 will bring you there in a few minutes. 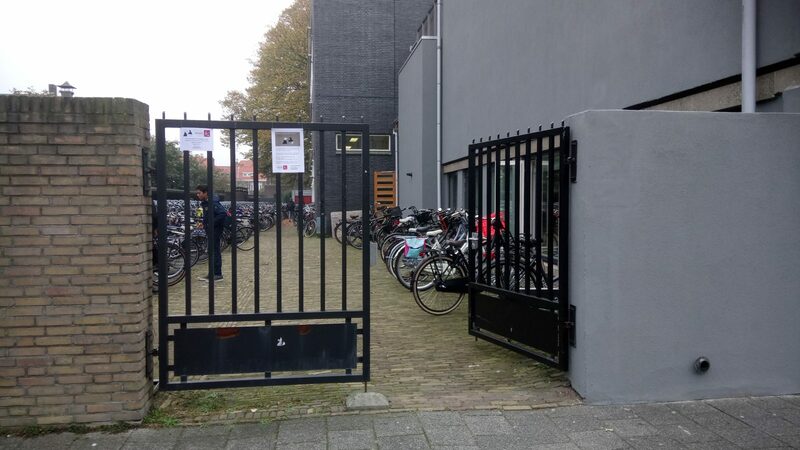 The actual entrance to our dojo is via the back in the Neuhuyskade.On the photo, the entrance is left from the building that houses the gym, between the gym and the church. Enter the gate and proceed to the door. Enter the building and go down the stairs and you will walk right into the gym with its changing rooms and showers, where you can refresh yourself after training.